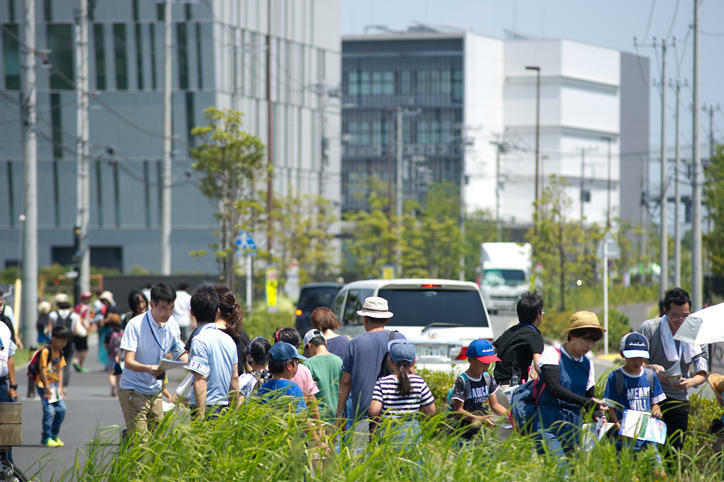 On Wednesday, August 1 at King SkyFront, the science and technology innovation hub near Haneda Airport where Keio University Tonomachi Town Campus is located, the King SkyFront Summer Science Event 2018, now in its sixth year, was held. 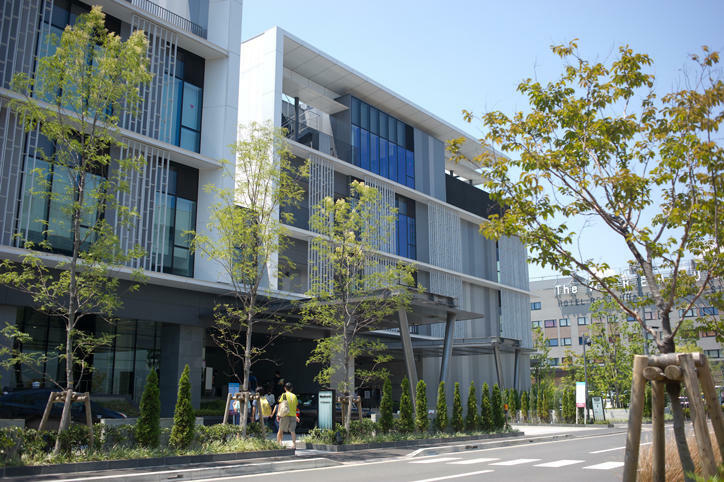 This is an event aimed at elementary school students which allows them to get familiar with the joys of science, and at which the private corporations and research institutions which have associations with King SkyFront exhibit booths which utilize their various unique features. This includes science experiments and craft and construction classes. 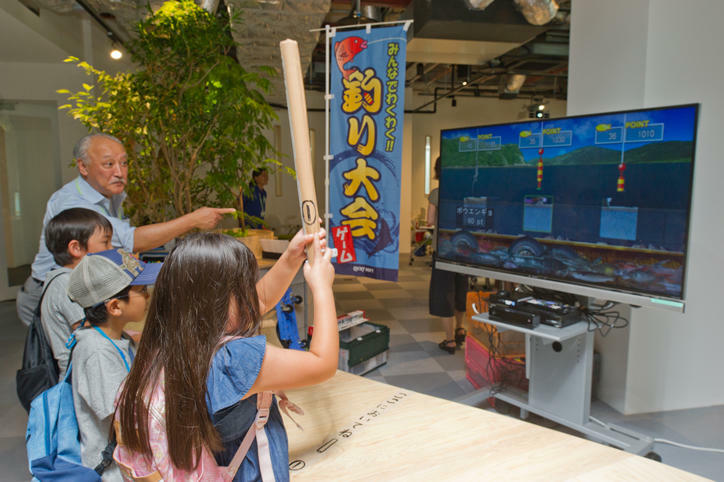 At the Tonomachi Town Campus there were three display booths: "Marshmallow Mountain Challenge Cup," in which teams competed to create the highest tower of pasta and marshmallows; the "'Social Contribution' Fishing Game! 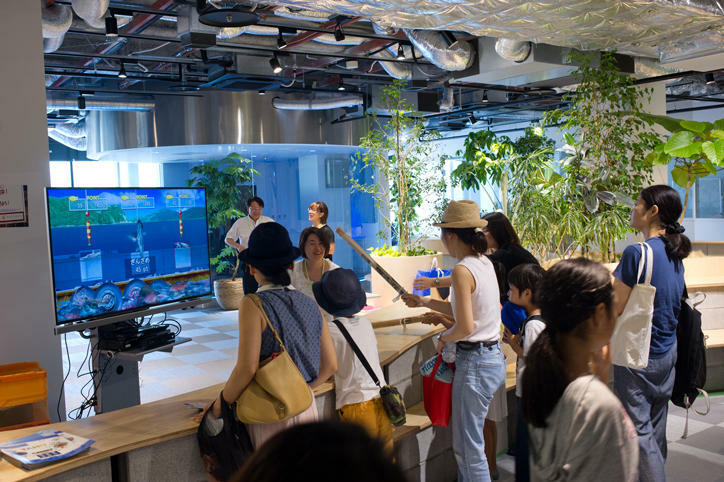 ?," a programming class in the form of a fishing game; and "The Carepit: Simple Posture Measurement," for self-care and well-being, from the measurement of posture. The children who took part tackled the challenges while chipping in with various ideas with delightful expressions on their faces, or considered their own posture measurements with more serious countenances. This year, the event defied the intense heat to again end in great success. 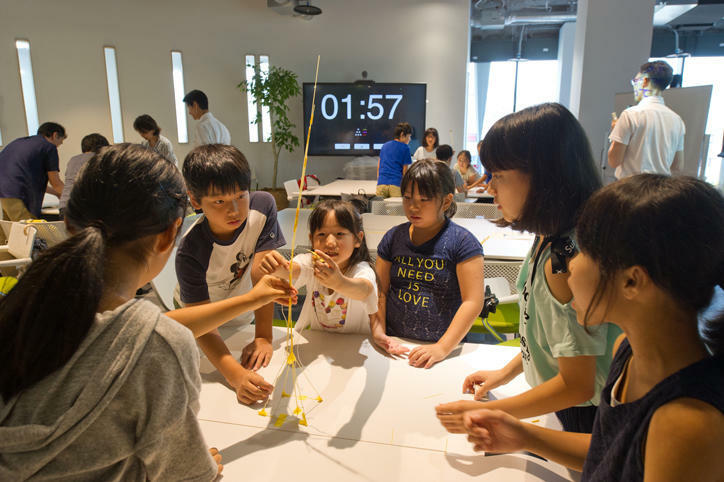 Elementary school students tackle the "Marshmallow Mountain Challenge Cup"
The "'Social Contribution' Fishing Game!?" Participants measure their posture in "The Carepit: Simple Posture Measurement"